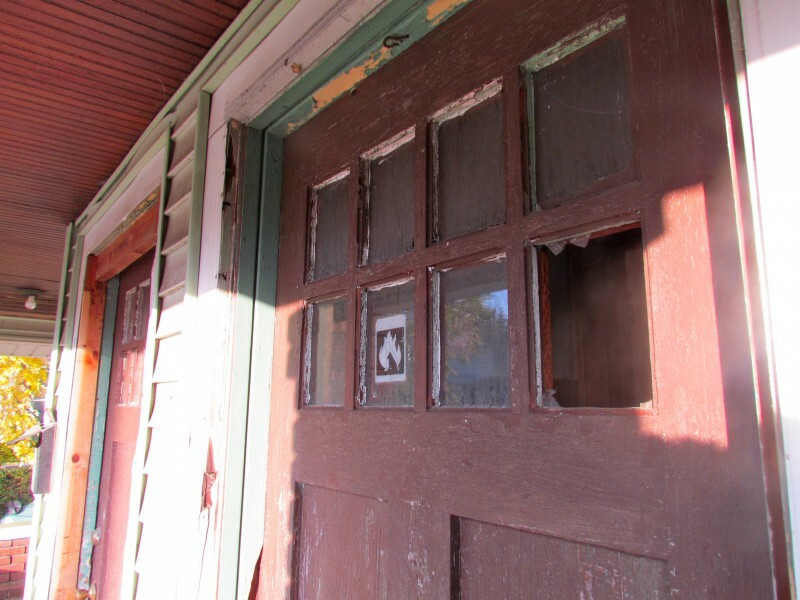 How the Jack of All Trades worked to save his block by rescuing a blighted property and finding a way for it to be brought back to life after neglect had taken its toll. These stories are crossposted from my blogHouse By House, which provides hyperlocal, micro-coverage of grassroots actions and creative people that build better urban neighborhoods in Grand Rapids – house by house, block by block. GR is a blossoming community that is being recognized nationally for its efforts in revitalizing neighborhoods, supporting local businesses, embracing diversity, and reaching new levels of sustainability. I hope to capture that energy and convey it to others so that they may be inspired to do the same. If you're fascinated with transforming Grand Rapids, keep tabs on my more regular postings and postulations on House by House. The story of a problem property on an otherwise peaceful block has been told time and time again. The house that has loud parties, drug activities, and “riff-raff” as my dad used to say, plague the rest of neighbors. One strategy that many adjacent property owners use to stop the cycle of blight and criminal activity is to purchase the property themselves. Upon doing so, many owners will hold the property until a future sale date to an interested investor or convert it into a rental unit, amongst other options. This is what Rob McCarty has done to the famed Green Booger. Rob McCarty is the Jack of All Trades at the Image Shoppe, a full-service communications agency. The Image Shoppe has conducted marketing services for many well known businesses and nonprofits in the community. 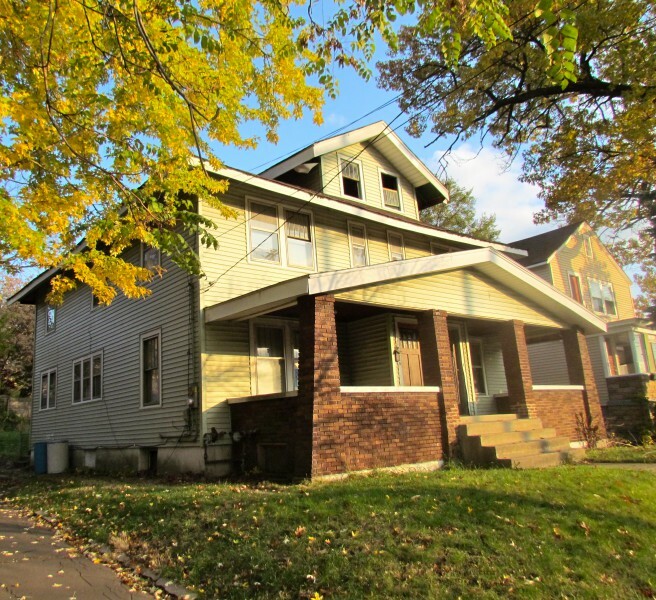 Before starting The Image Shoppe, McCarty worked at the West Grand Neighborhood Organization and conducted market research for investors (not at the same time). He was also active in the community, serving on the Board of Directors for Local First, Wealthy Street Business Allliance, along with engaging in tomfoolery such as Green Grand Rapids. McCarty lives at the corner of Sigsbee and Eastern SE with his wife Karen and son Brannon. McCarty unexpectedly found his house in 1999 and decided to purchase it as it was a good deal. He loved how the neighborhood was so diverse, walkable, and close to amenities. He enthusiastically explains how cool his neighbors are and is happy to see all of the kids playing together. When McCarty moved to Sigsbee the house behind their property, 442-446 Eastern SE, was mostly vacant. He noted it was owned by an elderly gentleman who had recently died. It is a two unit property (duplex) in which the owner lived in one half and a tenant lived in the other. When the man died, his daughter took up residence at the property. When she moved out in 2001, her son moved into the property. McCarty noticed that drug sales were occurring at the property. As the drugs became what McCarty describes as more serious and in greater quantity, so did the criminal activity. McCarty worked with the police to have the son evicted. After weeks of trying to get GRPD to call him back, it took a confrontation with a police captain at a community event for there to be a raid on the house. When the raid occurred, McCarty counted forty people arrested from one side of the house. After the tenants were gone, the house sat vacant and it went in to tax foreclosure. By luck, McCarty was able to purchase the property at the 2008 auction. He had no idea the neglect that was occurring in the property. Trash filled one half of the house. The roof was caving in and the front porch was ready to collapse. The day after he bought it the City came by and filed several violations for long grass, trash, and other nuisance related issues. Over the next few years, McCarty played a game with the City. As windows were broken, the City mandated he board them, but then he would get a fine for boarded windows. When he replaced the boards with windows, they would break and the cycle would continue. In the meantime, McCarty tried to work with the Alliance for Environmental Sustainability to use the house as a demo property for their energy conservation education courses. 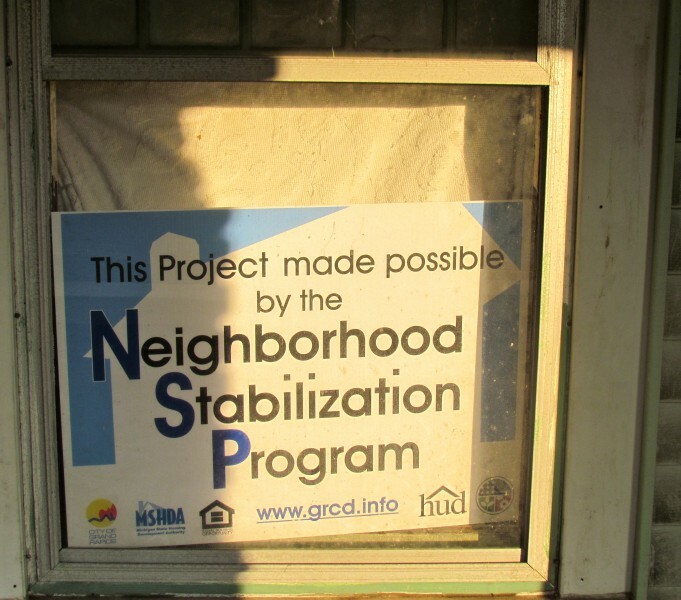 AES and McCarty were unable to make the project happen, but at the same time the Department of Housing and Urban Development announced the Neighborhood Stabilization Program. McCarty worked with City officials to utilize the property for NSP. Due to the continued hassle with the City thus far on the property, officials were willing to work with McCarty to reuse this property for quality, affordable rental units. 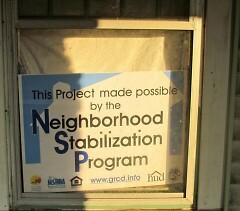 The property was sold this past September to a local, qualified developer to completely rehab the house. Renovations are expected to be completed by Summer 2012. McCarty is excited to see the property be put to good use. “I can only hope that the people who move there care about the neighborhood and want to get involved,” he exclaimed. He is hopeful that this property will make the neighborhood safer, raise property values, and add to the quality of life for everyone nearby. Check back for future updates on the progress of this property.